Home Creative Crafter's Escape Mark Your Calendars! 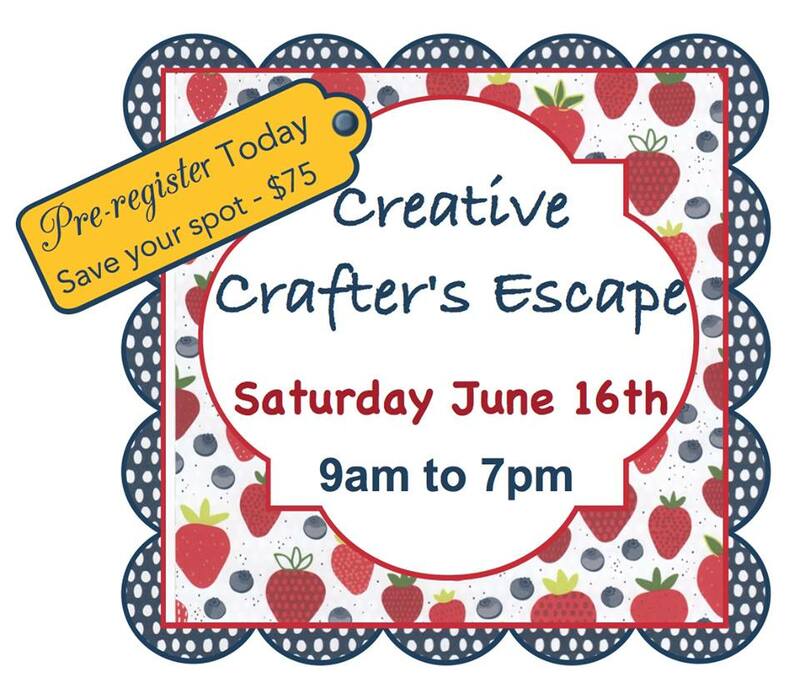 June Creative Crafter’s Escape! Marilyn SanClemente March 20, 2018 March 20, 2018 Creative Crafter's Escape, Creative Retreat, day retreats, handmade card, Handmade cards, Stampin' Up! I am so excited!! We have setup a Date for our next FULL Day Crafting event! If you haven’t been to one of our Crafting days – you are missing out! They are so much fun! Raffles! Enter raffles to win prizes! Games and chances to earn raffle tickets! A goodie bag of items from the new Idea Book and Catalog with a sampler of one of the new Designer Series Papers! So what are you waiting for?? You can Pre-register HERE to save your space.